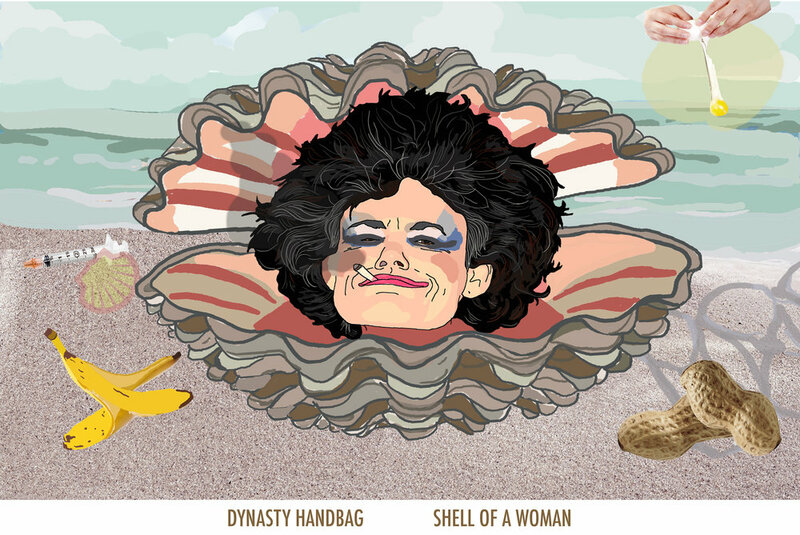 Shell of a Woman is Dynasty Handbag's expert powerpoint lecture on the "10 Greatest Works Of Art" according to the internet. Professor Bags will "explain" (make up lies) about the work's origins which naturally devolve into semi-autobiographical/highly opinionated narratives peppered with songs, dance numbers and psychedelic inner monologuing. For example, did you know that Picasso's Guernica is about animal rights activists setting free cows from a factory farm on the I5 and the subsequent rebellion of said cows against their liberators? Did you know that Jackson Pollock's famous alcoholic wiggle paintings may be simply just spaghetti and raisins? - plus more true facts plus a tap dancing numbers to Black Sabbath's "The Wizard" and the avante-pirate classic "Yo Ho Ho It's The Artist Life For Me".